Definition of a seed – A reproductive structure formed from the maturation of an ovule and containing an embryo and stored food. Seed is a sexual method of propagation and the commonest way of reproduction found in nature. Therefore seedlings can be variable owing to the unpredictable genetic combinations. These variations can allow for the breeding and selection of cultivars with the most desirable characteristics of each parent plant. Generally speaking species plants come true from seed but cultivars and hybrids do not. An F1 hybrid is a plant from a first year cross, an F2 is the result of seed from F1 plants pollinating themselves. It is expensive and time consuming to breed and select these hybrids and they are therefore usually quite expensive. It is better not to save seed from such plants. The advantage of collecting our own seed is that we can easily propagate from plants which have been successful in the conditions of our own gardens. Rare or difficult to obtain plants can be safeguarded and we can build up reserve stocks for new areas or replacing casualties. Plant sales or swaps with friends can also provide good homes for plants surplus to your own requirements. 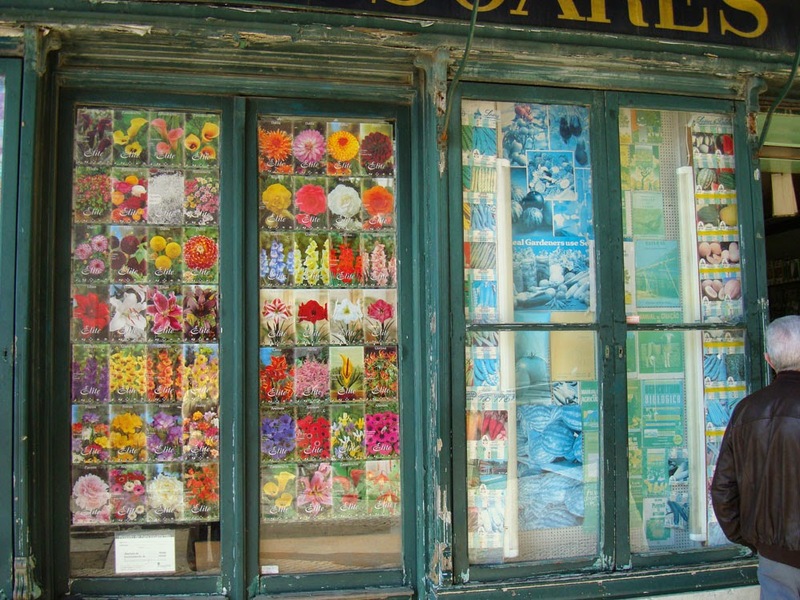 Flowers are there to attract pollinating insects or birds, they have stigmas with a style leading to the ovary. Anthers hold the pollen. When collecting seed we need to identify the ovary or seed bearing structure. 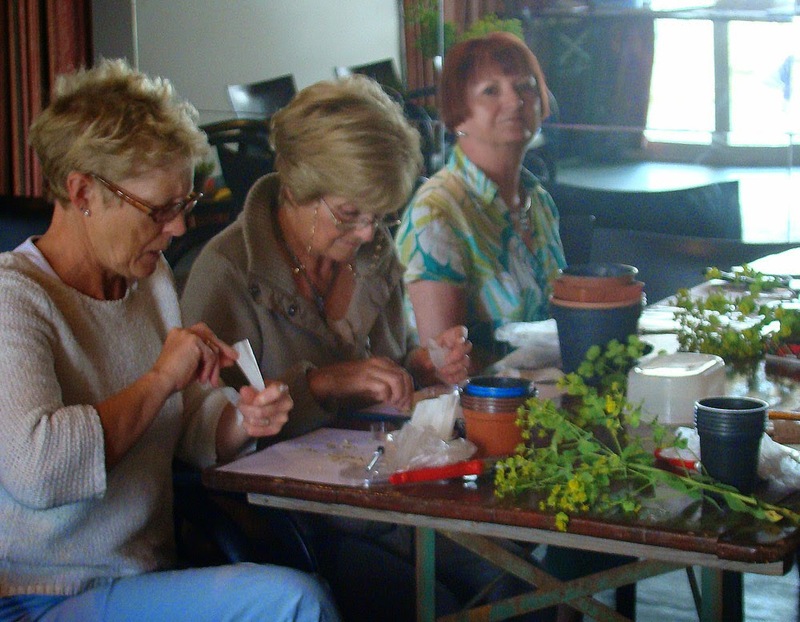 Different flowers forms will require different collection methods. 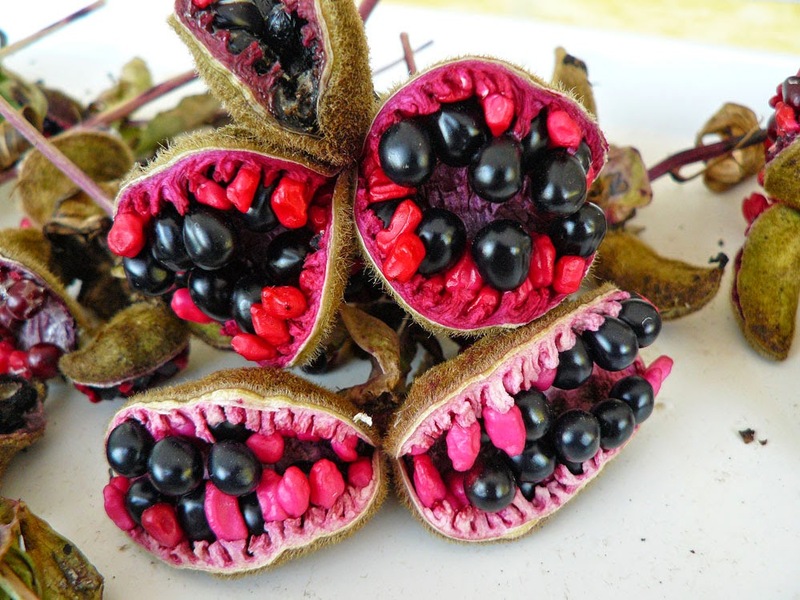 It is important to harvest the whole flowering structure to gain the maximum number of seeds. Some plants have distinct male and female flowers, citrus is an example. 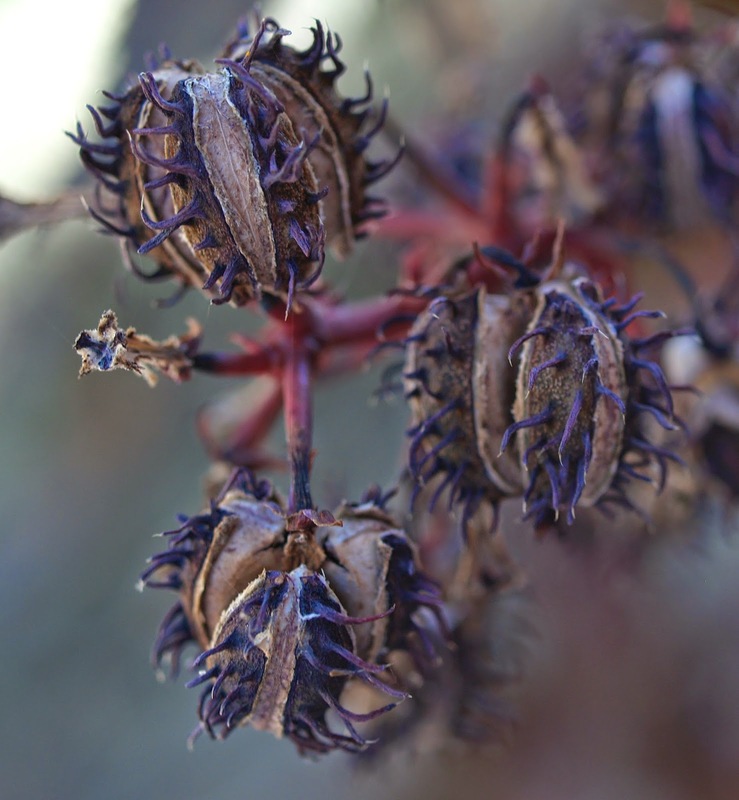 Seed dispersal methods help us to decide how and when to collect seed. Close observation of plants will reveal information about the structure of the seed bearing parts. Seed has a better chance of establishing a new plant if carried away from the parent plant to new ground. 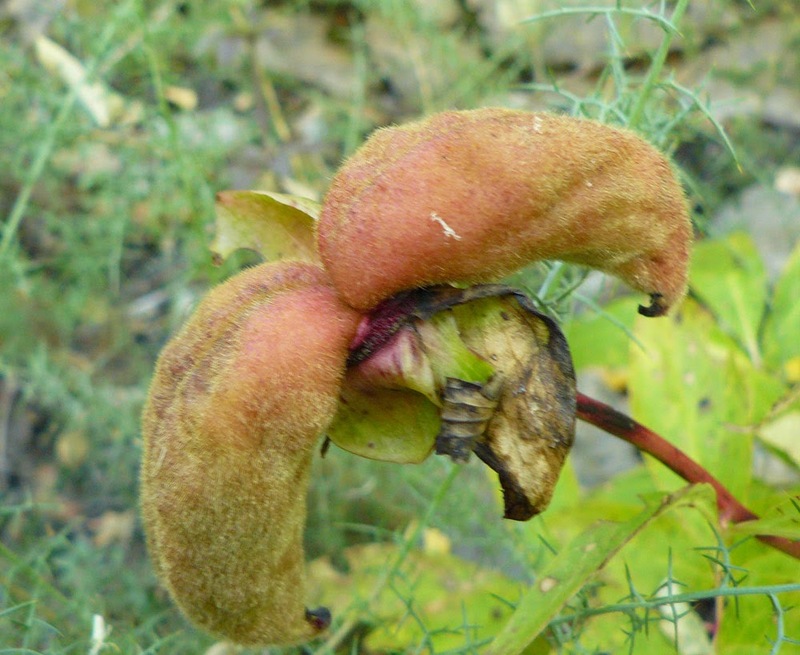 Wind dispersal – winged fruits such as those of the acer family (maples, sycamores) separate easily when ripe and float away. These parachutes, or the hairy filaments of seeds from dandelions, clematis, and asclepias, are easily born away on a slight breeze. Grass seed heads are notoriously difficult to harvest for this reason. Animal/bird dispersal–hooks or barbs on seed coats attach to furry coats of animals. If the seed is contained in a tasty fruit then it is eaten and the acidic action inside the guts of birds and animals removes the protective coating – when the seed is defecated it arrives with a handy package of manure ready for a new life. Water dispersal – floating seed is carried away from the parent plant, coconuts & mangroves are classic examples but many acacia seeds are carried along water courses to invade river and stream banks by this method of dispersal. Explosive dispersal– not waiting for the wind but a sudden splitting of the fruiting body expels seed long distances from the parent plant. Wisteria pods, impatiens, geranium and euphorbia and some legumes use this method. The pods dry and split very quickly to disperse seed with a whiplash twisting effect. Fortunately harvesting seed is a very simple, standard procedure and, although time consuming, well worth the effort. Experience will guide you when seed is ready to be collected. Paper bags, a pen or pencil and a box or tray to carry the paper bags safely upright round the garden is all that is needed. Labelling is of paramount importance, never trust to your memory or wait until you have left the plant to write on the bag. Even if you do not know the botanic name identify the plant by flower colour, place harvested from and any other helpful information. It is also important to make a note of the date harvested. When choosing plants for seed, pick out those that are clean, healthy and as true to the character you wish to obtain as possible. 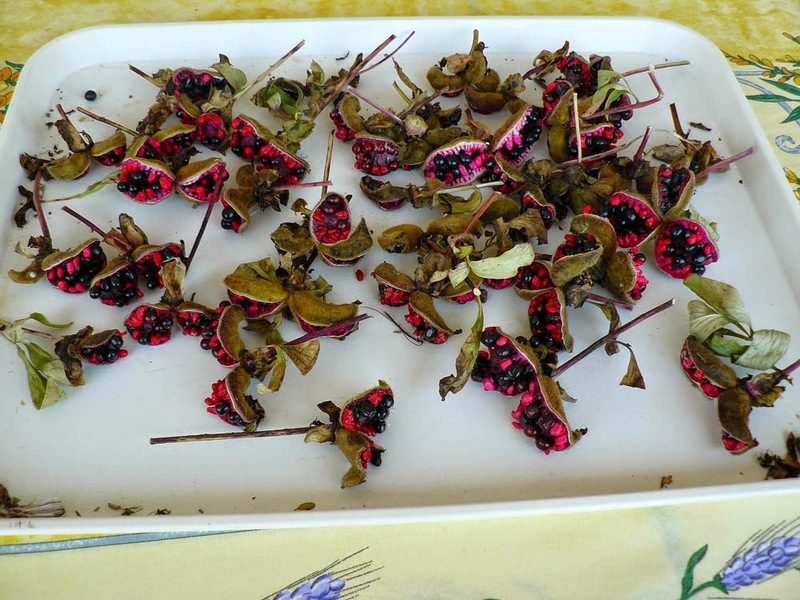 Choose a dry or sunny day and gather seed heads or pods just before they begin to open and disperse their contents. If one seed body on a flower head has opened already then harvest as soon as possible. Rubbing seed heads gently between thumb and finger might show seed coming away easily and tell you it is time to harvest the seed from that plant. A change of colour is another tell tale sign, the appearance changing from green to light or dark brown for instance. Take the whole flower head or stem and place in a paper bag. If the whole plant has matured, such as annuals, take up, or cut off from the root, the whole plant and place it in the bag. NEVER use polythene bags or plastic carrier bags. Paper bags allow the vital drying process to continue naturally and slowly without allowing any build up of mildew or condensation. Bags can left open to aid this drying process but not in the case of the exploding seed heads ! Store the bags in a dry shady place until you are ready to clean the seed. Again, a time consuming process but one which will give healthier seed with good chances of germination. When the seed heads are dry, the removal of all dust and debris also removes the chance of mildew or infection from the parent plant. Berries and pulpy fruits will need to be stored until soft enough to squash through paper towel to separate the seed from the pulp. Use of gloves here is essential as some fruits will dye your skin and/or is extremely toxic ! Seed will then need to be dried before storage. Seed heads can be shaken or rubbed out and cleaned by sifting through sieves of different sizes. It is also possible to put the seed and chaff mixture into a shallow bowl or scoop. The material is rocked back and forwards and gently blown to remove chaff and debris although this can take some practice to achieve. Sometimes tweezers are needed to pull apart the tougher seed heads, such as phlomis, in order to reveal the seed within. Finally seed can be poured out onto a small white tray or plate and the seed pushed to one side with the fingers or tweezers and collected in one corner away from the debris. The seed can be picked up with a piece of paper by sliding the edge under the seed and scooping it up. It is then possible to put the seed into packets without having to pick it up with your fingers. Again, paper seed packets or envelopes are good for long term storage. Check that small seed will not be lost through side openings. If the seed is dry and firm then large quantities can be placed in screw top jars. All dried and cleaned seed should be stored in a dark place at a temperature of between 1-5C. Ideal conditions can be found in the domestic fridge salad drawer ! Seed packets can be placed in a sealed plastic box and stored in the fridge or any dark airy place which does not get too hot.